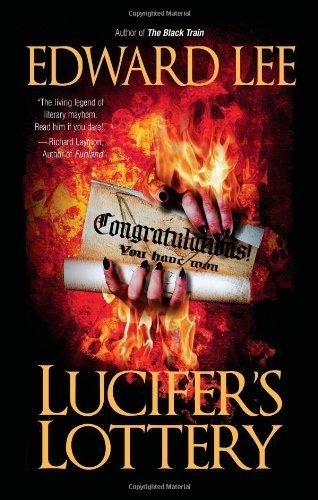 Just before he’s about to enter a seminary, a young man learns he’s the winner of Lucifer’s Lottery, a lottery held every 666 years, in which the winner receives eternal youth and wealth and a personal tour of Hell. 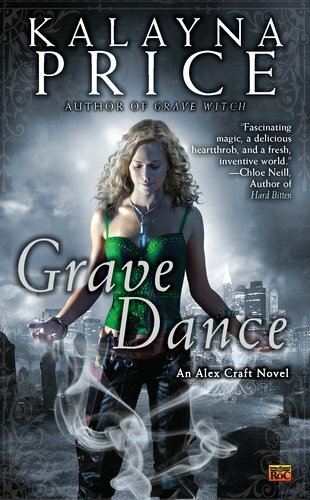 Luc Cain was born and raised in Hell, but he isn’t feeling as demonic as usual lately—thanks to Frannie Cavanaugh and the unique power she never realized she had. 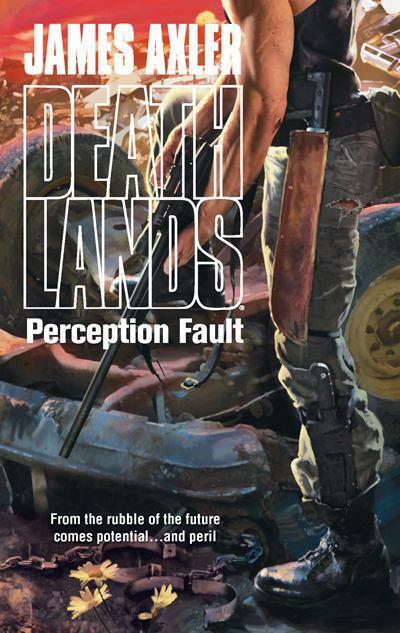 But you can’t desert Hell without consequences, and suddenly Frannie and Luc find themselves targeted by the same demons who used to be Luc’s allies. 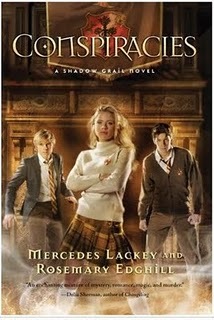 Left with few options, Frannie and Luc accept the protection of Heaven and one of its most powerful angels, Gabe. Unfortunately, Luc isn’t the only one affected by Frannie, and it isn’t long before Gabe realizes that being around her is too…tempting. Rather than risk losing his wings, he leaves Frannie and Luc under the protection of her recently-acquired guardian angel. Which would be fine, but Gabe is barely out the door before an assortment of demons appears—and they’re not leaving without dragging Luc back to Hell with them. Hell won’t give up and Heaven won’t give in. Frannie’s guardian exercises all the power he has to keep them away, but the demons are willing to hurt anyone close to Frannie in order to get what they want. 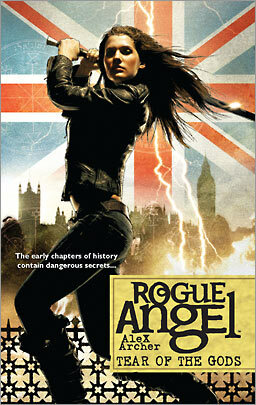 It will take everything she has and then some to stay out of Hell’s grasp. Fern is not like other girls. She has strange and vivid visions and has the ability to teleport—anywhere, anytime. 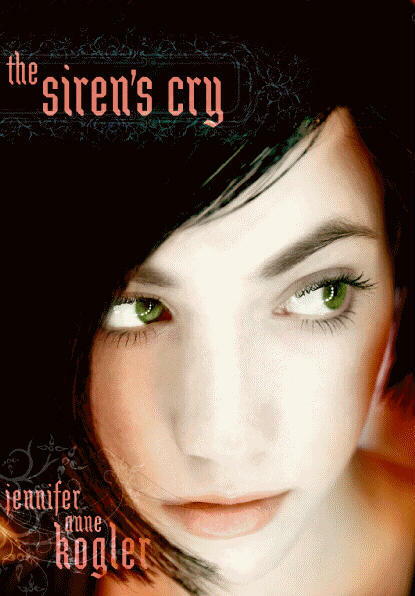 Fern is an Otherworldly, a special kind of vampire that lives in the human world. What’s more, Fern is one of the Unusual Eleven, a group of Otherworldlies all born on the same day with extraordinary powers, prophesied to change the fate of Otherworldlies and humans alike. On a school trip to Washington, DC, Fern has a dramatic vision that reveals another Unusual in grave danger. Now it’s up to Fern to put together the pieces of where he is and why he’s been taken. 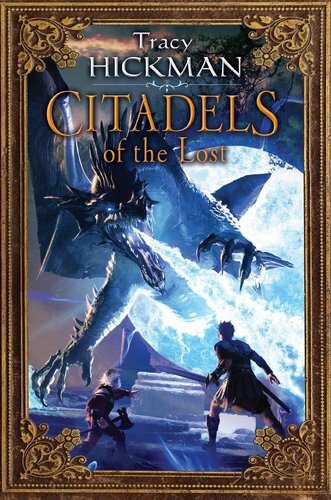 Can Fern solve the puzzle and free the boy in time to defeat the darkness that threatens? 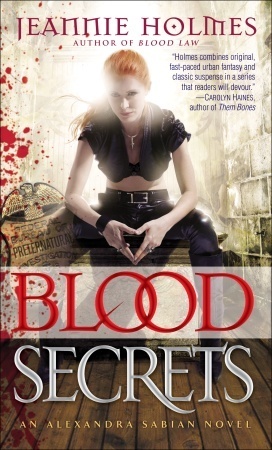 In this gripping and fast-paced tale, the world of vampires has never been more compelling. Spirit and her friends Burke, Loch, Muirin, and Addie have managed to defeat the evil force that has been killing students at Oakhurst Academy for the past forty years—or so they think. When a series of magical attacks disrupts the school, Doctor Ambrosius calls upon alumnus Mark Rider to secure the campus—and start training the students for war. The only student without magic, Spirit doesn’t trust Mark or his methods. She knows that Oakhurst isn’t safe. And if Spirit and her friends want to live long enough to graduate, they have to find out what is really going on—before it’s too late. It started as a dream—a redheaded warrior king fought and died for his men centuries ago. The dream would lead archaeologist Annja Creed to the king’s undisturbed corpse…and one of England’s greatest mythical artifacts. Deep in an archaeological dig in England’s Midlands, Annja locates a braided necklace around a mummiï¬ed king’s neck. Made of an unusual material—not quite obsidian, but gleaming with multihued color—the torc is an astonishing ï¬nd. But someone knows exactly what the torc means. And he will do anything to get his hands on the Tear of the Gods. When the dig is compromised and innocent archaeologists are slain, even Annja herself is left for dead. Now she is ï¬‚eeing for her life, not knowing the terrifying truth about the relic she risks everything to protect—or the devastating consequences should it fall into the wrong hands…. 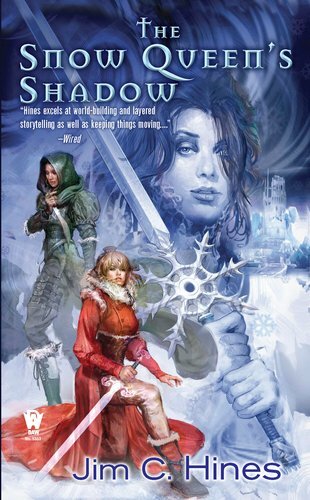 When a spell gone wrong shatters Snow White’s enchanted mirror, a demon escapes into the world. The demon’s magic distorts the vision of all it touches, showing them only ugliness and hate. It is a power that turns even friends and lovers into mortal foes, one that will threaten humans and fairies alike. 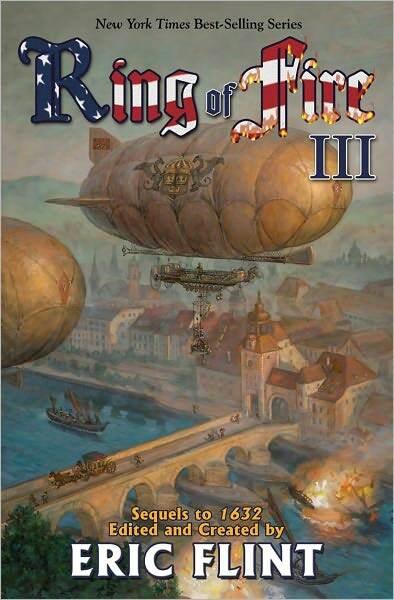 The latest novel in the “enthralling” (Midwest Book Review) Annals of Drakis fantasy epic. Welcome to the territory. Leave your metal behind, all of it. The bugs will eat it, and they’ll go right through you to get it…Don’t carry it, don’t wear it, and for god’s sake don’t come here if you’ve got a pacemaker. The bugs showed up about fifty years ago–self-replicating, solar-powered, metal-eating machines. No one knows where they came from. They don’t like water, though, so they’ve stayed in the desert Southwest. The territory. People still live here, but they do it without metal. Log cabins, ceramics, what plastic they can get that will survive the sun and heat. Technology has adapted, and so have the people. Kimble Monroe has chosen to live in the territory. He was born here, and he is extraordinarily well adapted to it. He’s one in a million. Maybe one in a billion. 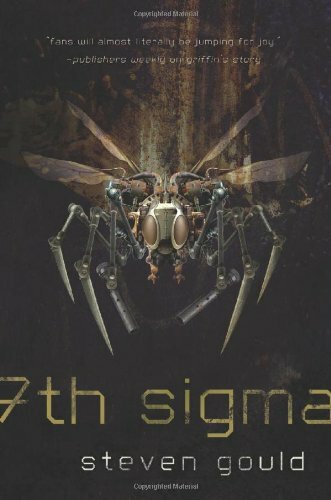 In 7th Sigma, Gould builds an extraordinary SF novel of survival and personal triumph against all the odds. The science fiction epic of our time has arrived. The morning that the world ends, Katie is getting ready for court and housewife Jenni is taking care of her family. Less than two hours later, they are fleeing for their lives from a zombie horde. Thrown together by circumstance, Jenni and Katie become a powerful zombie-killing partnership, mowing down zombies as they rescue Jenni’s stepson, Jason, from an infected campground. They find sanctuary in a tiny, roughly fortified Texas town. There Jenni and Katie find they are both attracted to Travis, leader of the survivors; and the refugees must slaughter people they know, who have returned in zombie form. 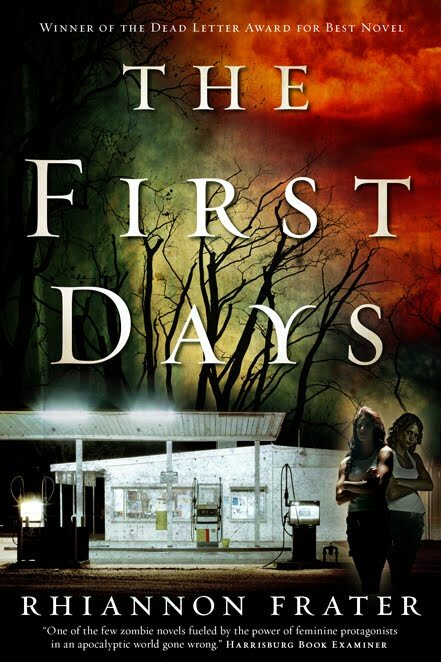 Fast-paced and exciting, filled with characters who grab your heart, The First Days: As the World Dies is the beginning of a frightening trilogy. The ravaged landscape that was America two centuries ago is now blighted by post-nuclear holocaust savagery. Still, there remain pockets of preDark technology that may offer undiscovered paths to reclaiming the future. 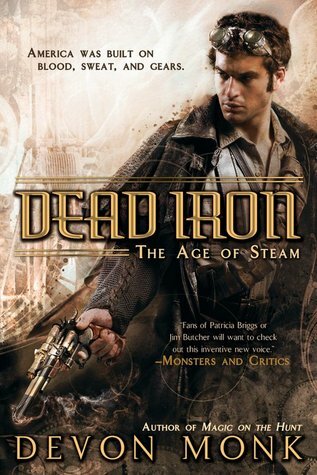 Ryan Cawdor and his companions have faced most kinds of horror that Deathlands can deliver—and survived. This merciless place can break even the strongest, but it has yet to destroy hope. Denver offers a glimpse of that very hope—a power plant, electricity, food and freedom. 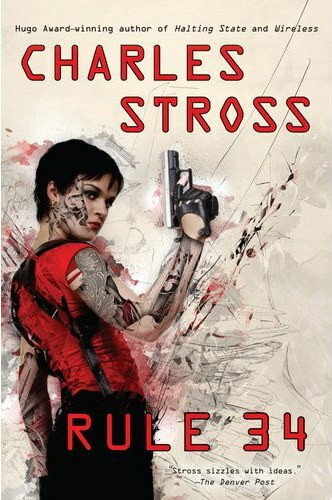 But the city is caught in a civil war between two would-be leaders and their civilian armies. Challenged by both sides to do their bidding, Ryan discovers a third player in the quest to control the mile-high city—a secret enclave of White Coats with the strength and technology to pursue a twisted agenda of their own. 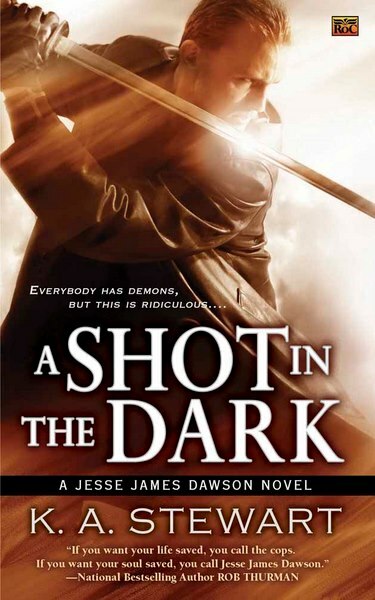 Jesse James Dawson is a Champion, putting his life on the line for those foolish enough to bargain with demons and fighting to save their souls. But even a Champion needs some downtime, so Jesse takes his annual camping trip to Colorado for some male bonding over friendly games of paintball. 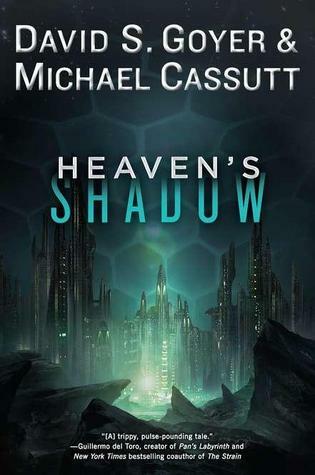 “The most spectacular science fiction writer of recent years” (Vernor Vinge, author of Rainbows End) presents a near-future thriller. Detective Inspector Liz Kavanaugh is head of the Rule 34 Squad, monitoring the Internet to determine whether people are engaging in harmless fantasies or illegal activities. Three ex-con spammers have been murdered, and Liz must uncover the link between them before these homicides go viral. Born in the fires of battle, Conan of Cimmeria lost his father and village when they were slaughtered by the cruel warlord Khalra Zym. 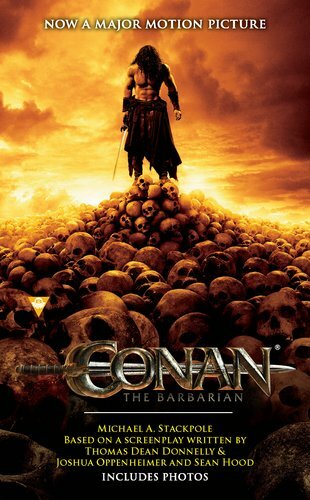 Wandering the world alone, Conan was forged into a peerless warrior by hardship and bloodshed. Years later, he crosses paths with Zym and his armies. But before Conan can exact vengeance, he must contend with the warlord’s daughter-the seductive witch Marique-and a host of monstrous creatures. Only then will Conan’s quest bring him face to gave with Zym in an epic battle to avenge his people and save the world. Based on an incredible true episode of World War II history, Paul Malmont’s new novel is a rollicking blend of fact and fiction about the men and women who were recruited to defeat the Nazis and ended up creating the future. In 1943, when the United States learns that Germany is on the verge of a deadly innovation that could tip the balance of the war, the government turns to an unlikely source for help: the nation’s top science fiction writers. Installed at a covert military lab within the Philadelphia Naval Yard are the most brilliant of these young visionaries. The unruly band is led by Robert Heinlein, the dashing and complicated master of the genre. 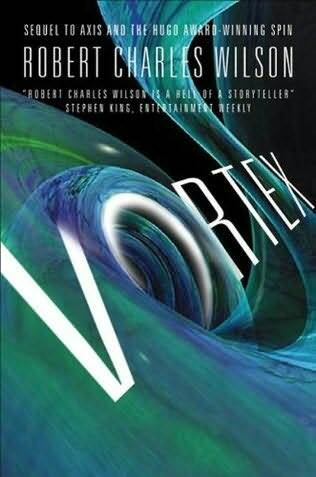 His “Kamikaze Group,” which includes the ambitious genius Isaac Asimov, is tasked with transforming the wonders of science fiction into science fact and unlocking the secrets to invisibility, death rays, force fields, weather control, and other astounding phenomena—and finding it harder than they ever imagined. When a German spy washes ashore near the abandoned Long Island ruins of a mysterious energy facility, the military begins to fear that the Nazis are a step ahead of Heinlein’s group. Now the oddball team, joined by old friends from the Pulp Era including L. Ron Hubbard (court-martialed for attacking Mexico), must race to catch up. The answers they seek may be locked in the legendary War of Currents, which was fought decades earlier between Nikola Tesla and Thomas Edison. As the threat of an imminent Nazi invasion of America grows more and more possible, events are set in motion that just may revolutionize the future—or destroy it—while forcing the writers to challenge the limits of talent, imagination, love, destiny, and even reality itself. 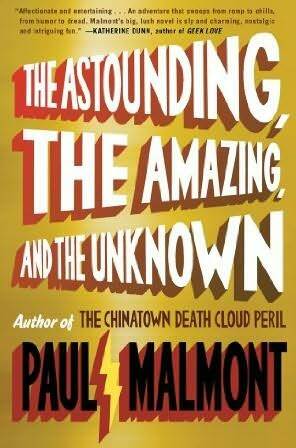 Blazing at breathtaking speed from forgotten tunnels deep beneath Manhattan to top-secret battles in the North Pacific, and careening from truth to pulp and back again, The Astounding, the Amazing, and the Unknown is a sweeping, romantic epic—a page-turning rocket ship ride through the history of the future. Mervyn Peake¹s Gormenghast trilogy is widely acknowledged to be, as Robertson Davies pronounced, ³a classic of our age.² In these extraordinary novels, Peake created a world where all is like a dream–lush, fantastical, and vivid. Yet it was incomplete. 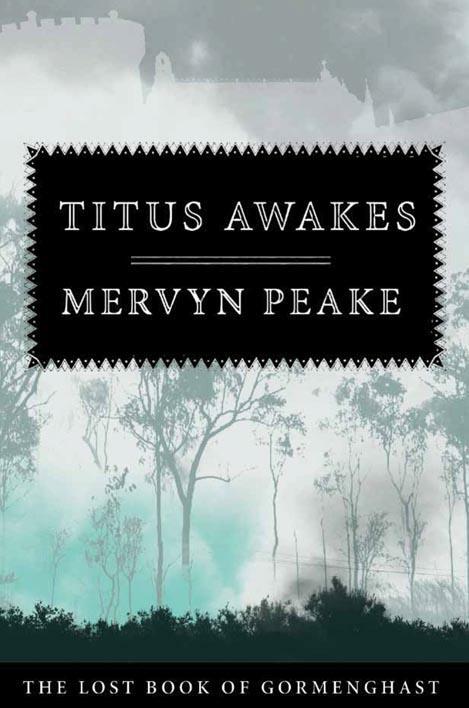 Parkinson¹s disease took Peake¹s life in 1968, depriving his fans of the fourth and final volume of the series, Titus Awakes except for a few tantalizing pages, after which his writing became indecipherable. Or so it seemed. In January of 2010, Peake¹s granddaughter found four composition books in her attic. They contained the fabled Titus Awakes in its entirety. Peake had outlined the novel for his wife, Maeve Gilmore, who had at last finished Peake¹s masterpiece. Fans of Peake will delight in this new, wonderful novel, published one hundred years after his birth, every bit as thrilling and masterfully written as his famed trilogy.